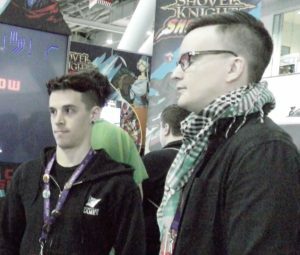 Yacht Club Games, the developers of the Shovel Knight series, showed off their new game, Cyber Shadow, at PAX East, an annual meeting of the gaming industry. I had the opportunity to interview two members of the Yacht Club team, Sandy Gordon, a pixel artist and animator, and Aarne Hunziker, the developer of Cyber Shadow. Q: How is being at PAX East for a game developer? Gordon: I mean, as an indie developer, as a AAA developer, I guess it’s probably a different experience for everyone… It’s exciting for us for sure because you know we’re here showing off Cyber Shadow. Aarne’s here from Finland, he flew in yesterday so we’re very excited. Q: How important is it for Yacht Club Games to be here at PAX with all these fans? Gordon: I would say it’s extremely important. We’ve always been well connected with the fans. We’ve tried to interact with them one-to-one in as many cases as we can. The fans really supported us through the development of all the Shovel Knight campaigns, all four of them plus Showdown. It’s extremely important for us, we love coming to conventions, especially PAX. Q: It was just announced that Yacht Club Games will be publishing your game, how does that feel for you? Aarne: It’s like magic. Today has been a new experience completely. Meeting these guys (gesturing to Gordon) has been amazing. Q: What do you look for in a publisher when you’re looking to put out your game? Aarne: Well, for me I wasn’t looking for any publisher. I decided that I would not work with anyone else, do it by myself. But these guys were an exception like, their level designs are very good and they were a great help in that department. Q: What can we look forward to for the future of Shovel Knight, looking past King of Cards and Showdown? Gordon: Well, first I’ll say we’re still not looking past King of Cards and Showdown yet, because internally we’re still polishing things and trying to wrap it up. Soon we’ll be thinking about the future. We’ve definitely got things on our minds and we’ve toyed with ideas for other games but really, our focuses are Showdown, King of Cards, and Cyber Shadow. But we’re excited for the future and hopefully publishing more games. 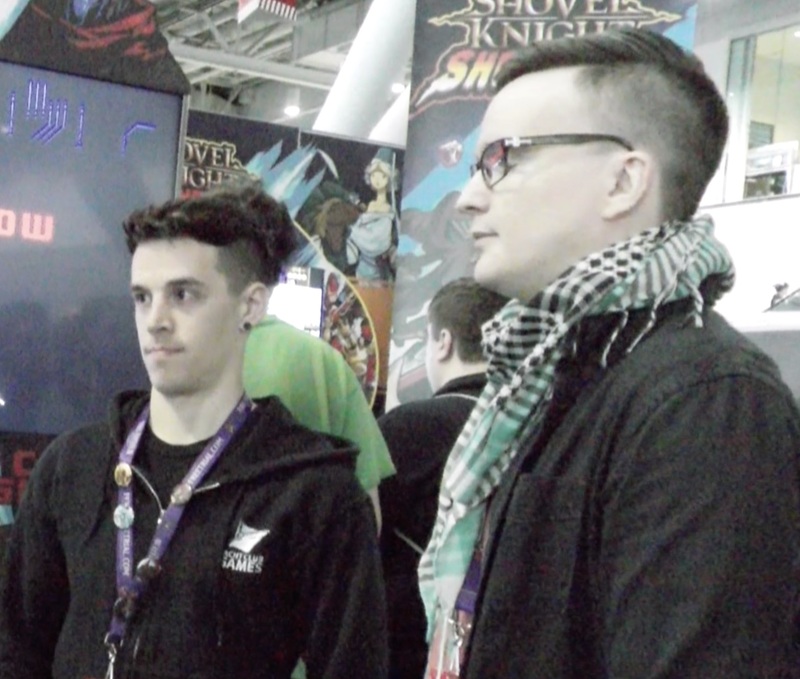 This has been an interview with Sandy Gordon and Aarne Hunziker who attended the PAX 2019 convention here in Boston.